In 1965, the US government backed a coup in Indonesia that ultimately claimed an estimated 1m lives in a single year. Those practicing traditional knowledge were particularly under threat as the country’s first president was replaced by a long-reigning dictator. 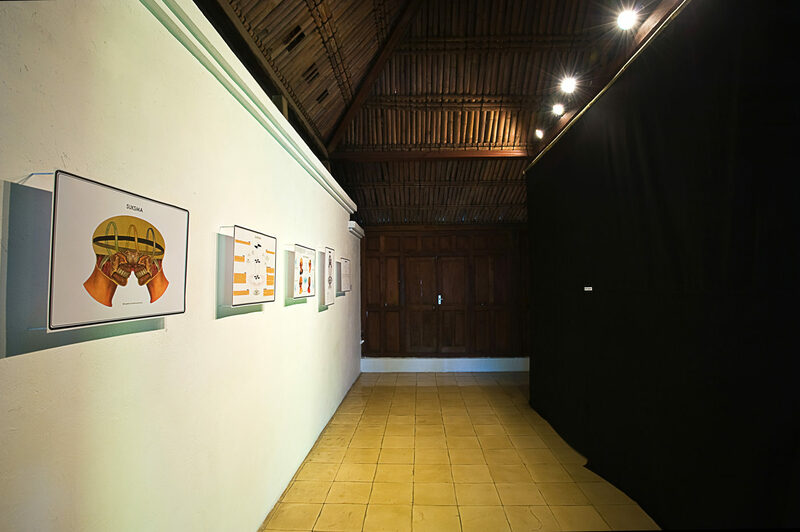 From 2008 – 2010, with funding from the US Dept of State as a Fulbright Scholar, I researched traditional Javanese ideas of time and multi-dimensional reality, and the extraordinary ways in which they intersect with my own thinking. I began modeling the fundamental structures in Javanese cosmology in original diagrams, videosculptures, and a sound installation. The Beginning Was The End (TBWTE) arose from conversations with cultural experts—professors of Javanese philosophy and individuals like dukun (shamans)—and from my own participation in meditation and cleansing rituals. These transparent cubes are 3-dimensional models of the ideas presented in my Diagram series, as part of The Beginning Was The End. I collaborated with renowned Indonesian artisans, architects, and the new media lab House Of Natural Fiber to create a visceral experience of Javanese reality for Western audiences. Activated by video, these pieces simulate chunks of space-time erased from the fabric of reality, like a hole in the air: delicate, powerful gauges designed to reveal the unseen phenomena present in the same time and space occupied by their viewers. (Hypercubes, in mathematics, are cubes existing in more than three dimensions; I use the title as a reminder that higher dimensions of reality are ever-present.) The exhibition is amplified by a live-processed sound installation, making the interaction between dimensions tangible. 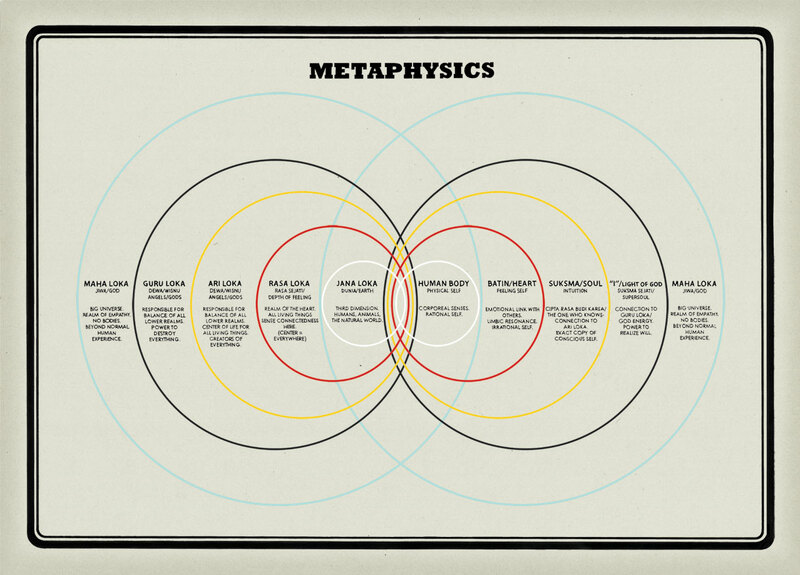 This work houses forms emerging from my research on Javanese cosmology, as seen in my diagram Metaphysics. Layers of video are projected into them, mapping images directly into their shapes on an endless loop. The pinhole video was shot in Java, Manhattan, Boston, and at the Santa Barbara Museum of Natural History. The ziggurat form in Hypercube No. 3 embodies concepts appearing in my Four Saudara diagram, in much the same way as a temple embodies a mandala. The series to which this piece belongs offers audiences an experience of phenomena beyond what human senses are designed to perceive. The pinhole video was shot in Java, Manhattan, Boston, and at the Santa Barbara Museum of Natural History. Hypercube No. 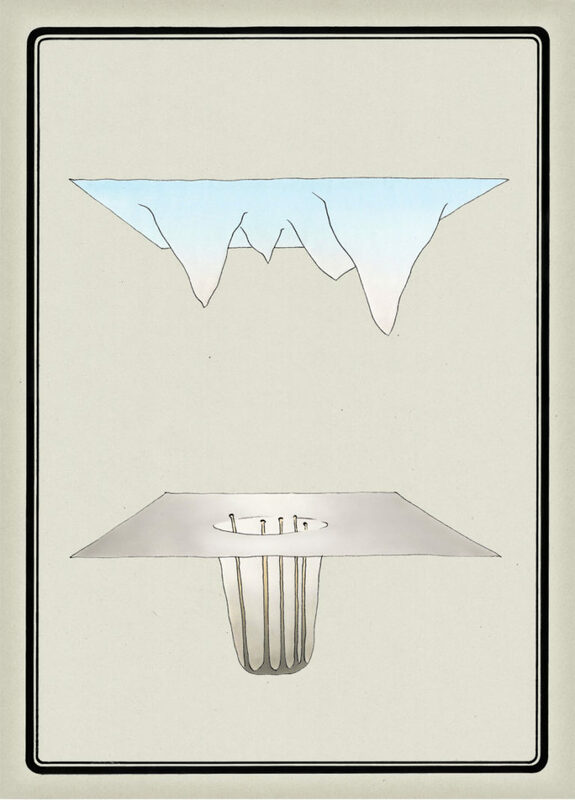 2 consists of two parts and is lit from below. The mirroring, halving, and splitting that occurs within this piece is consistent with the cleansing ritual at the center of my research, which the piece describes. 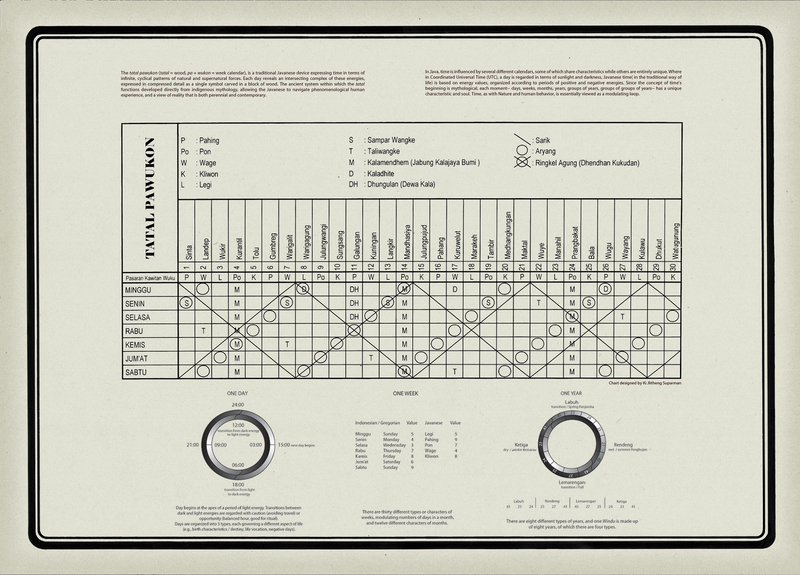 My diagram entitled Knowledge serves as a blueprint for this piece. This physical model of my Oowenology diagram describes the shared space between two interacting entities or processes as having its own identity, characteristics, and potential to develop as a conduit for Knowledge. 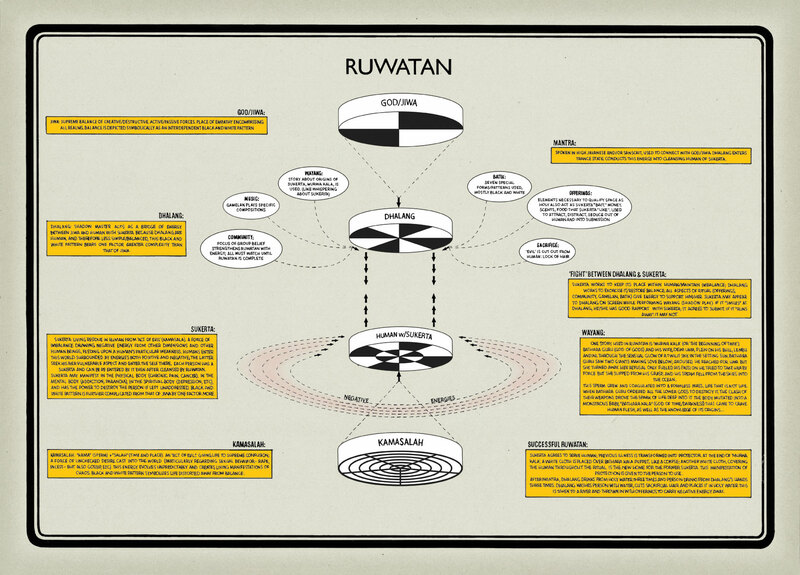 While in conversations and rituals with dukun, I drew diagrams to clarify the interwoven structure of humans, nature, and the supernatural at the core of Javanese cosmology for The Beginning Was The End. 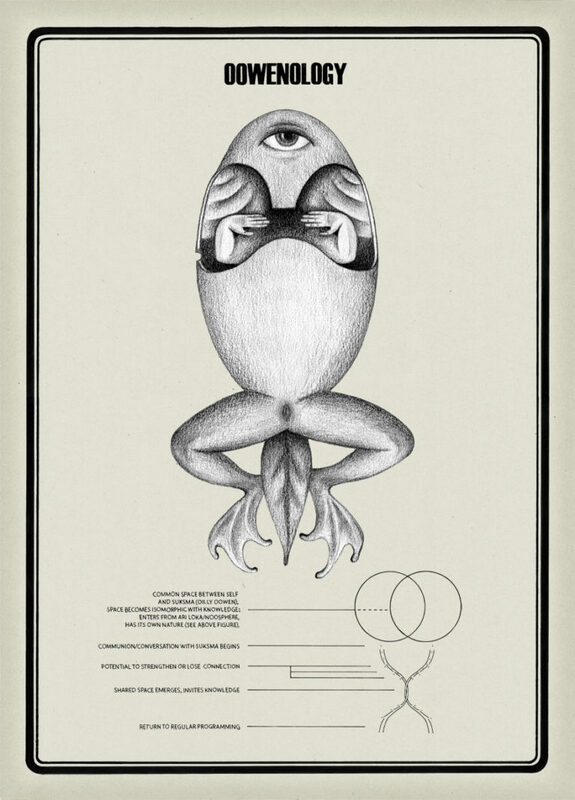 After hearing that no other overviews of this endangered knowledge exist, I designed them in the style of Indonesian educational posters, and later used them in public dialogues. These works serve as blueprints for my Hypercube series. 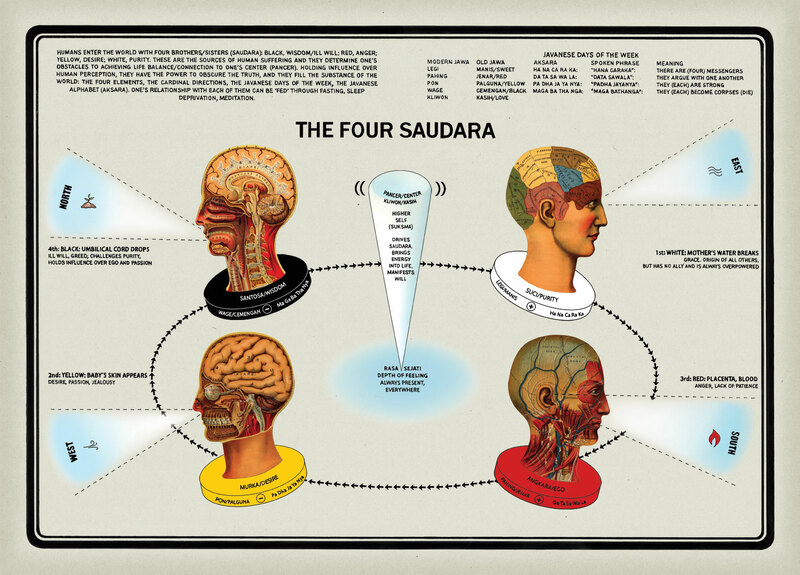 I unified several sources to make this original diagram, describing the four siblings that accompany humans in the material world. They represent aspects of reality as a coordinated metaphysical field–the cardinal directions, the primary elements, color, time–which humans influence and in which we’re directly reflected: in our process of birth, our senses, our language, and in human nature. This work describes energy behavior during ruwatan, a cleansing ritual: a dalang (shadow master/shaman) combats a sukerta (negative energy within an person), drawing on god-energy to restore balance/expel the sukerta as the sukerta draws on negative energies in the individual and the environment, to maintain imbalance. This piece correlates the dimensions of reality available to human experience in the same time and space–including the forces and energies existing in those dimensions–with different levels of human consciousness. Each of us is born with a perfect copy of ourselves, a twin, according to Javanese thinking. 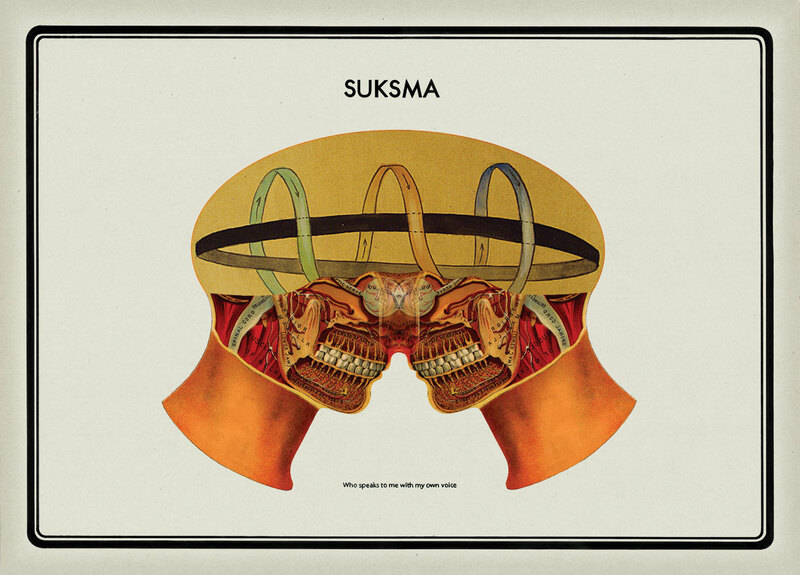 Our “gut feelings” emerge from where it’s housed, and in the uncanny, familial quality of people new to us, it’s our sukmsa communicating. It’s our connection to the infinite, a tether to our unknowable source. Oowenology describes the shared territory between interacting bodies, energies, or processes—i.e., people in dialog—as having its own identity, characteristics, and potential to become a conduit for Knowledge. This piece describes my experience of observing a ruwatan performed a son of former Indonesian President Suharto. The sensation of energy as it was interacted with/courted by participants is also modeled in my videosculpture, Hypercube #2. The tatal pawukon is a Javanese device expressing time in terms of infinite, cyclical patterns of natural, social, and supernatural forces. In this perennial calendar, each day reveals an intersecting complex of these energies, expressed in compressed detail as a single symbol carved in a block of wood.